Forum Index > Historical Arms Talk > Show your viking helmet! 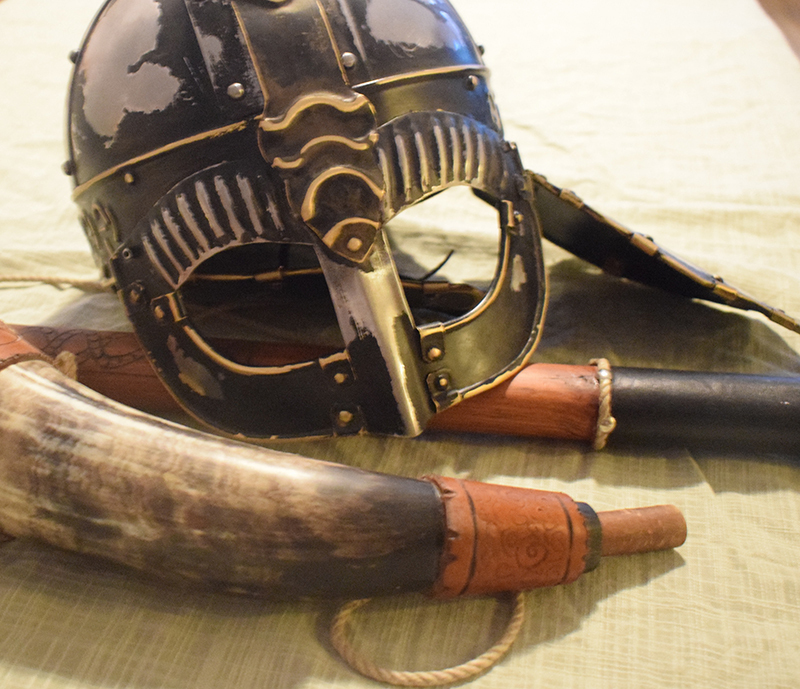 Posted: Sat 14 Jul, 2018 9:39 am Post subject: Show your viking helmet! Hi i am new here and are interested in viking period! I going to buy a viking helmet if you got any tips of manufacturers not too expensive. If you have found your viking helmet please show it! I got two but not happy with them. 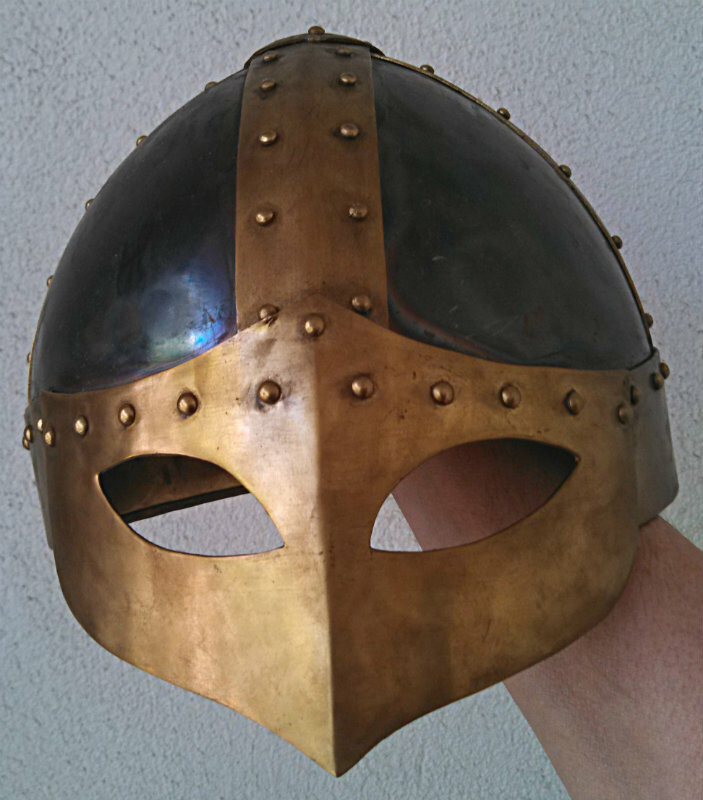 Hi i searched the forum and see it perhaps have a dedicated thread to viking helmets? here's my viking helmet. I no smith byt rechaped the eyegard. And painted it. I wanted it to look old that is why i painted it. I have bougth a battle ready 2,0 viking helmet this to is to thin. Hi yes the flaps is good but to big in my opinion it exist a second one beowulf helmet that is more beautiful. the sorry First one it is really big didn't have no linen or lether straps my to. Do you know how to give them patina so the look old? 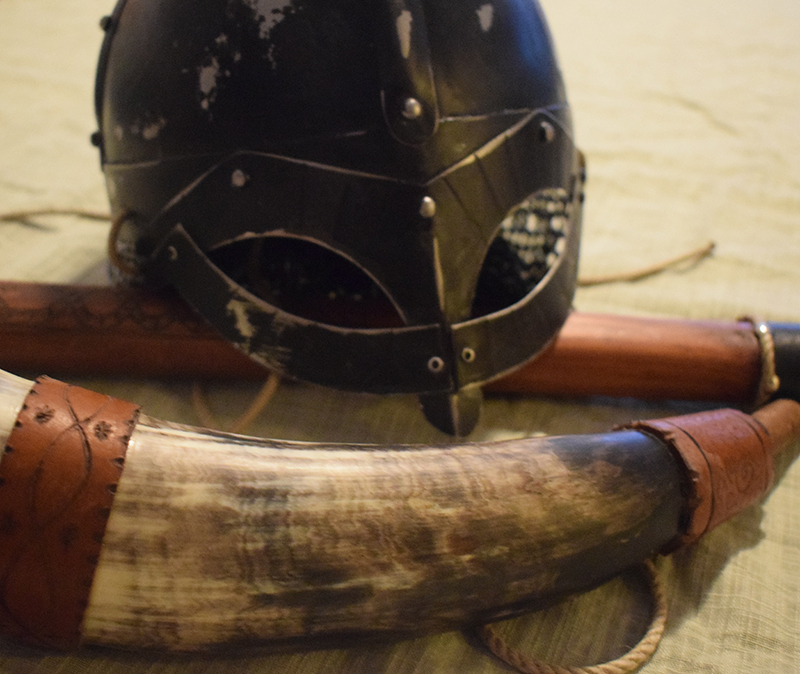 Here is a Viking helmet that I bought from Albion a LONG time ago. Oh that good advice going to try it! 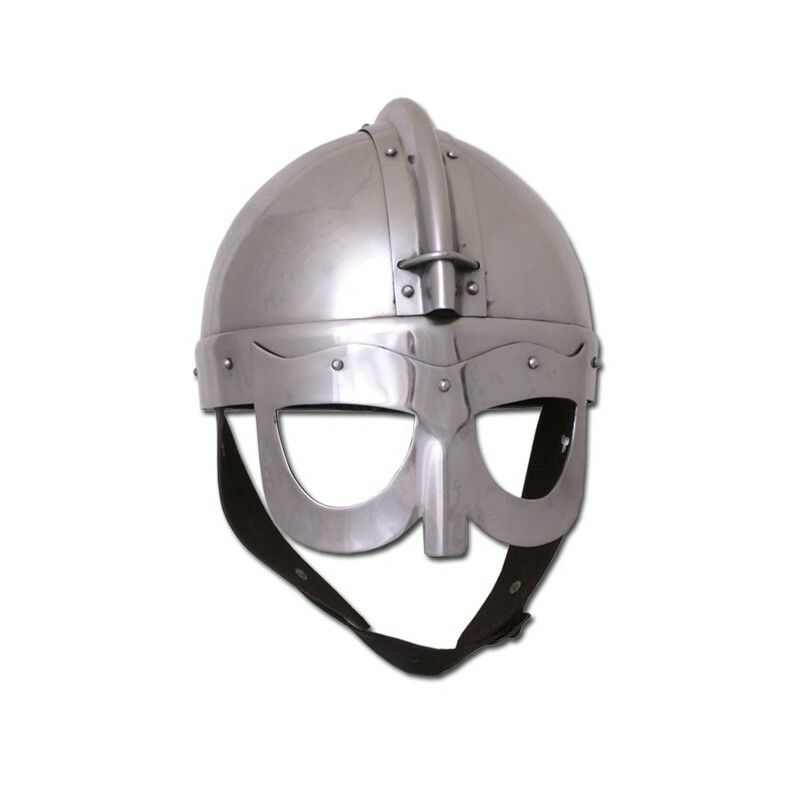 This full combat ready replica of a historic Viking helmet is made of 2 mm steel. The two helmet halves are double jointed (inside and out). The glasses are riveted to the helmet. This type of sturdy design makes the product robust, providing the best possible protection during reenactment. This type of helmet was popular among the Vikings in the 8th and 9th centuries. Ring armor is often used underneath, or roof valve attached to the helmet. It¨'s i bit heavy i dont got the neck muscles the leather linen is good. Hi i tryed it but it did nothing how long tim before you note it? Hi i yes i did it again and left it overnight! It begin to show. I here that Vinagre could also be used. I am to afraid that i will weaken the armour and possible not cant use it? This is how it look now i decided to stop. Thanks you very much it much appreciated!! The helmet is handmade in 2 mm carbon steel with adjustable padding in leather.